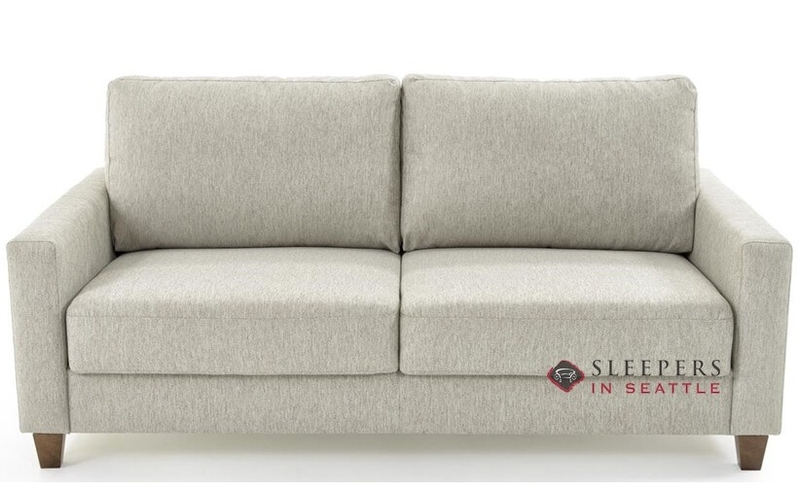 The Nico Queen Sleeper Sofa by Luonto features tasteful transitional style and exceptional comfort. 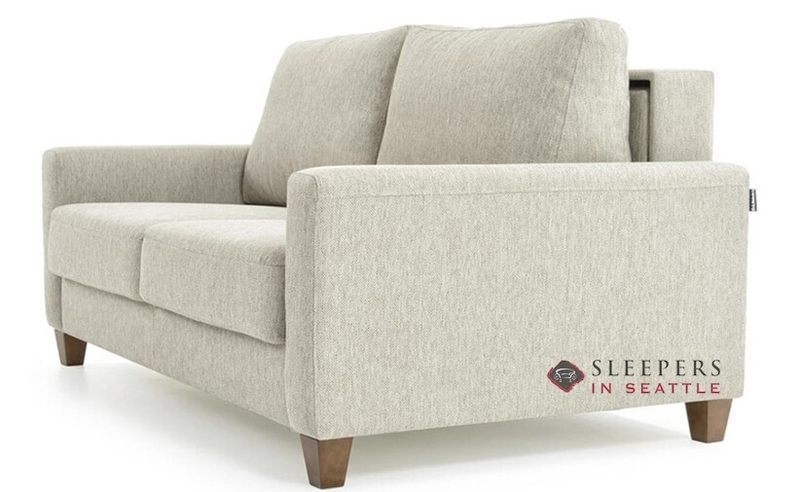 Marked by straight arms and clean design, the Nico makes a great addition to any sophisticated decor. The Nico, like all of Luonto’s products, is made with raw and recyclable materials, utilizing leading sustainable manufacturing practices. The Nico is a customizable model, available in a great selection of Luonto fabrics. What are you waiting for? Get to clicking! God bless you guys for helping me figure out everything in regard to dimensions. Special thank you to Karen for her patience with me, I'm aware that I'm not the easiest customer, bu i am loyal, and your work was not in vain My Luonto is sitting here in my living room looking fabulous. Thanks to you guys. I appreciate all of the assistance, and I will let everyone know. I will scream your name from the mountaintop. How wide are the arms? 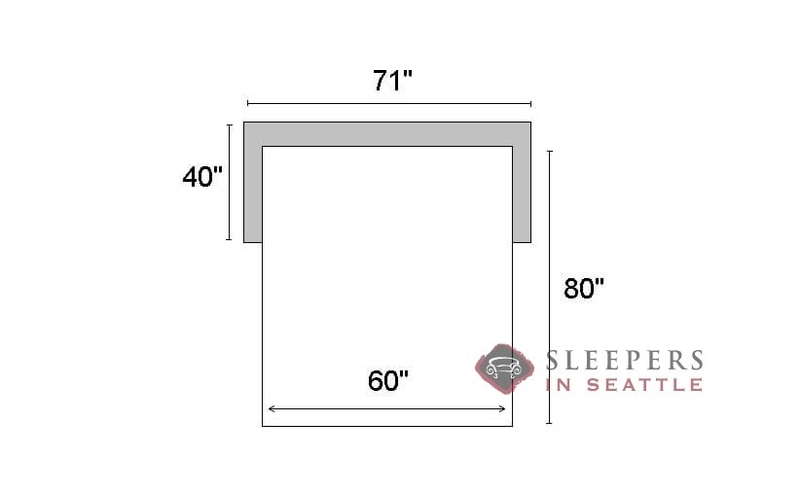 Does a queen mattress pad fit on the queen sleeper? A queen mattress pad should work on the Nico Queen from Luonto. 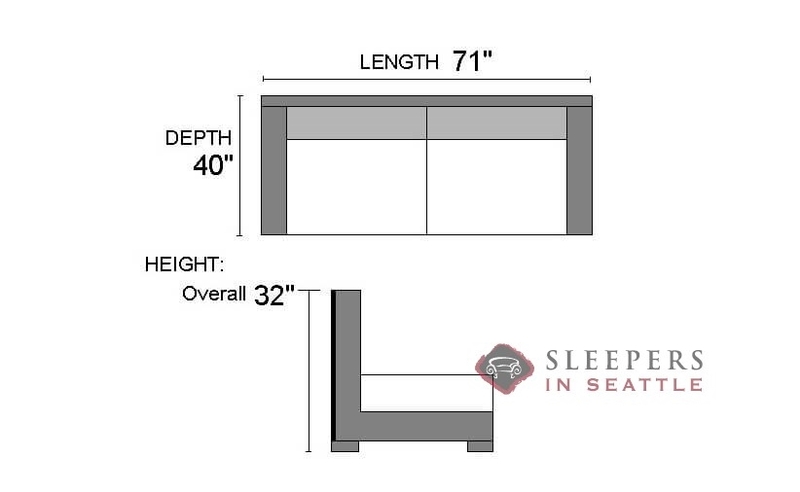 Given that the mattress, at 60" x 80", is the same size as a bedroom mattress, a mattress pad should work.